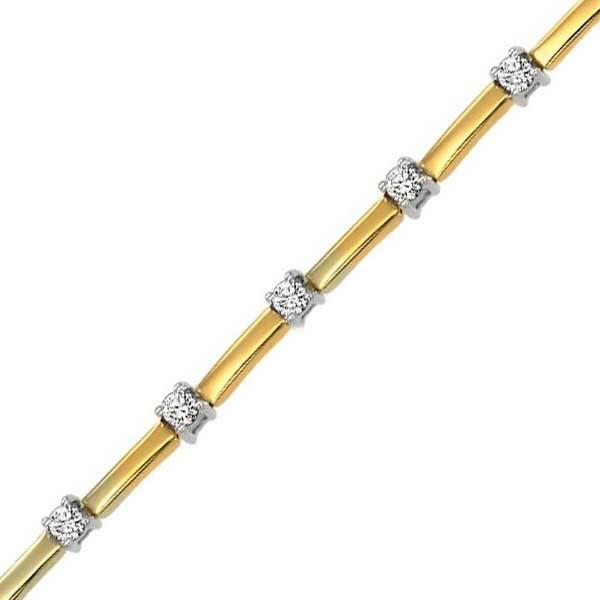 14K White & Yellow Gold 1 ctw Diamond Bracelet. These simple 14k yellow gold bars with 1ctw in round brilliant diamonds are a timeless and instant classic. All bracelets are available in WG YG and Two Tone. Call to check availabilty. Normal delivery time 2 weeks after placing the order.